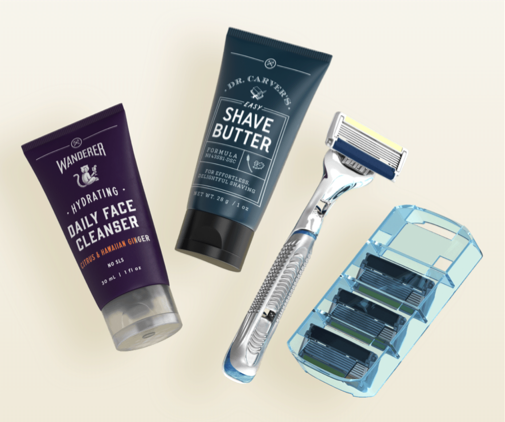 Have you been wanting to try Dollar Shave Club? You can get their Starter Set for just $5 shipped right now! If you’ve been curious about Dollar Shave Club, you can right now! This also might make a unique gift idea for someone! This initial Starter Set includes the executive razor handle, four 6-blade razor cartridges, a trial-sized shave butter, and a trial-sized facial cleanser. This is a great value!! I’ve been using Dollar Shave Club for quite a while now, and I really like it! You can read my completely honest review of Dollar Shave Club here. Note: When you , it signs you up for the Dollar Shave Club membership that will renew after the first month at the full executive razor price of $9/month. Be sure to go into your membership settings and cancel (or change to a cheaper razor) if you don’t want to continue. « Want to save money and eat healthier?